Part Time Rangers is an alcoholic beverage company the encourages consumers to engage in social change while enjoying their Friday night drinks. 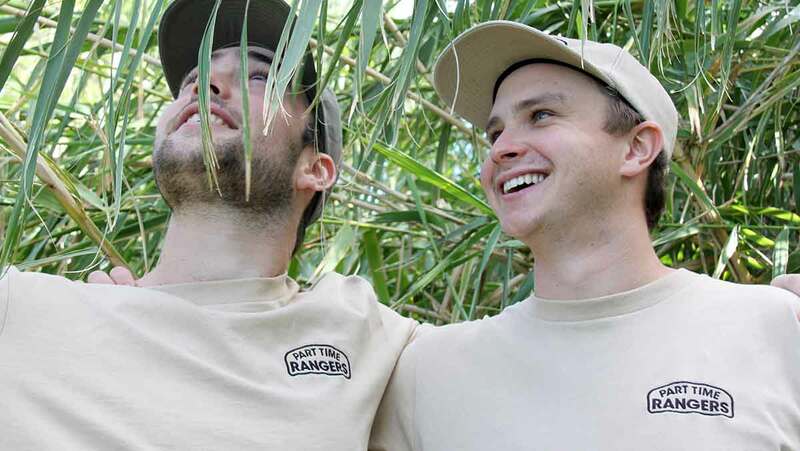 Created by brothers William and Oliver Deane, Part Time Rangers has released their first drink, White Rhino, with 10% of profits going towards wildlife conservation. They have partnered with Saving The Wild, a foundation which helps take down the criminal animal poaching rings in South Africa. With South Africa being home to 80% of the remaining rhino population and a rate of three deaths per day, it makes sense for Part Time Rangers to name their first drink after the highly endangered animal. Not only are the drinks delicious and aim to do good they also only have good in them. 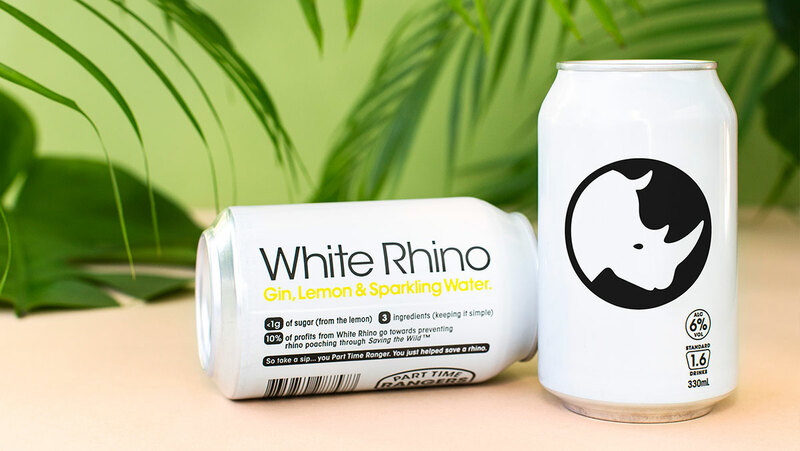 With only three ingredients, gin, lemon, water, and none of the nasties, White Rhino is a drink that’s pure and delicious. The company aims to encourage more conscious consumer habits in both the product and the company ethos. We sat down with Oliver Deane to discuss this exciting new venture. FTV: Tell us about Part Time Rangers. How did the concept originate? Oliver Deane: Part Time Rangers is an idea. It’s an idea that everyday people living their busy lives can become a Part Time Ranger by simply shifting their Friday night beverage. People want to help make real change, often don’t have the time to really make a difference. That’s where we come in. We were always on the lookout for a drink without all the nasties, and we were always interested in the concept of a social enterprise. The idea of building a community of Friday night Part Time Rangers bloomed from there. They sort of came into fruition hand in hand. Why was it important to be associated with wildlife conservation? Has this always been an area of interest? We come from a pretty environmentally conscious family, however, our work has mainly been humanitarian. In the past we have worked alongside World Vision and Tearfund throughout Ethiopia and Malawi. When we started to form this social enterprise, William had a chance meeting the most badass chick Jamie Joseph. She told him about Saving The Wild and their efforts. After we had both heard about how they fight against corruption and focus on taking down the kingpins in the illegal rhino horn trade, we were hooked. Other than buying from Part Time Ranger, how can people get involved in wildlife conservation? There are many ways to get involved! It can be as simple as spreading the word about the current crisis of Rhino Horn and Elephant Ivory poaching, to volunteering with one of the many amazing wildlife charities across the world. Plastic-free July has been a great initiative. Millions of tons of plastic is dumped into the ocean every year, devastating our sea life. With the 100% Pure NZ image, we Kiwis have got to show the world how it’s done! How does White Rhino’s taste differ from other gin-based drinks on the market? We are focused on two things: minimalist ingredients and low sugar. White Rhino literally only has three ingredients, gin, lemon juice, and sparkling water. Keeping it simple not only tastes real but also reduces sugar and carbs. For this reason, White Rhino can taste great with less than 1g of sugar, and less than 1g of carbs. You are both rather young to be running your own business, have you always wanted to be entrepreneurs and want to start a business for your brother? Business has always been a passion of ours and so from a young age we both aspired to own our own business. Both of us studied Marketing at university, myself at Otago, and William at Victoria, and so the desire really developed over the past few years of study. As to working together, you wouldn’t have called it when we were kids. Fortunately, we’ve grown into a great team and even better friends. Can we expect more wildlife themed drinks in the future? There are many great causes across the world and in New Zealand, and we want to get involved with as many as possible. We have something in the works… watch this space! How can people get their hands on a can of White Rhino? We are currently stocked in selected stores across Auckland, Wellington, Christchurch and Dunedin. We are working on more cities and towns, to make it easy for all Kiwis to become Part Time Rangers.